A few weeks ago I decided that I didn't really want to grow my hair out into long luxurious girly locks anymore. 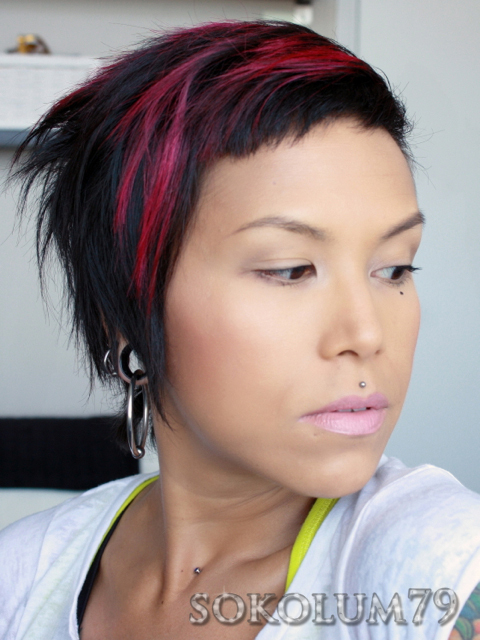 I'll grow it, but I want to have short parts because I want to keep it edgy looking. So I found a ton of photos for inspiration and I went to Sarah O'Brien at East Vanity Parlour (who happens to be my husband's stylist) last week and she started cutting away. 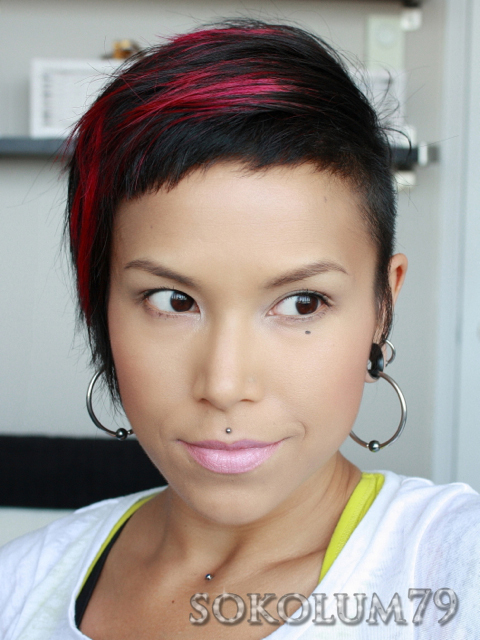 I was heavily inspired by Lisbeth Salander's hair in Fincher's version of The Girl with the Dragon Tattoo, with the shaved sides and very short fringe. 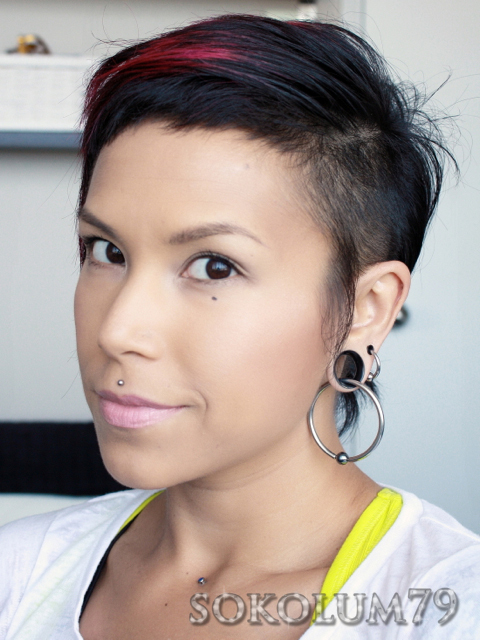 I decided to go with a sidecut, a very short fringe and a VERY textured cut. We were joking around about how we should bleach my hair out and colour it black again to give it more texture since my hair was so silky and healthy. I am debating whether or not to do a little undercut in the back as well, but for now I will pin it up or wear a pitiful little ponytail. What do you think I should do with the back? I love your new cut. You rock edgy so well! I really I actually like the little pony tail in the back! Awesome! I've considered shaving the side of my head, probably the left where my part is since I keep my bangs somewhat long and side swept. I just don't know lol. Doubt it would work for me but works awesomely for you! Skulltastic Makeup and Lens Village Giveaway! Inspired Pink and Purple Brightness!